Stefano Incerti’s latest film Gorbaciof was released in Italy last week, to mixed reviews. It was in competition at this years Film Festival in Venice and has had its international premier in Toronto. Best moment: Bedroom scene, sweet kiss on Gorbaciof’s nose by Lila. Useful information: Gorbaciof is a nick name given to Pacileo, he has a birth mark as did Mihail Gorbacov on his forehead. 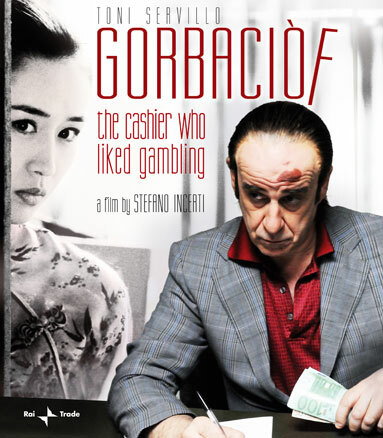 Synopsis: Gorbaciof (Toni Servillo) is a cashier at the Poggioreale prison in Naples,who help himself to cash to support his gambling habit. The film moves from his work, to his home, to a Chinese restaurant with a back-room gambling table run by a judge, back and forth through the film. There is little to no speech , not a word for the first 10 minutes and often an unusual use of sound effects. The film is a one-man show, all about Gorbaciof who is played brilliantly by Toni Servillo, who portrays the character perfectly, given that he has few lines this is a great tribute to his acting skills. Gorbaciof’s relationship with the beautiful Lila ( Mi Yang) is touching , and develops slowly building into a sweet romance between two people who have no common language , Lila is a Chinese immigrant who does not speak Italian. There are some great scenes shot with a tiger at the local zoo and an innocent game played with a trolley at Naples airport. I was confused by the endless line of people handing over large amounts of cash in the jail as it was done in silence and there were no sign of paying-in-slips, what were they paying for? I am not familiar with Italian prison etiquette however it has been explained to me that it is bribes paid by relatives to ease the jail term being served by their loved ones. The film is carried by the extraordinary talent of Toni Servillo and is likely to do well at International Film Festivals, he is well-known outside Italy for his roles in Gomorrah, Il Divo and The Consequences of Love. Carlo Mazzacurati’s latest film La Passione, The Passion shown at this years Venice Film Festival has not disappointed his faithful followers here in Italy and abroad. Cast : Silvio Orlando, Giuseppe Battiston, Corrado Guzzanti, Kasia Smutniak, Cristiana Capotondi, Stefania Sandrelli. Best moment: Gianni Dubois comforting Ramiro ”If Christ was around today, he too would have been fat”. Gianni Dubois (Silvio Orlando) is a middle-aged film director, who is under pressure from his agent to come up with an idea for a new film, he has been unable to follow-up on the success of his previous film 5 years earlier. He leaves home to attend to the families flat in Tuscany, a pipe has sprung a leak resulting in an old fresco in the church next door being damaged. 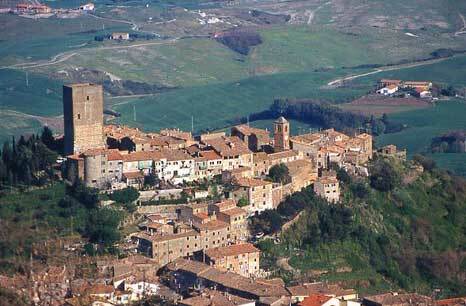 In true Italian style, the whole village become involved resulting in Gianni being pressured into staging this years passion play at Easter or face heavy fines and jail. There are many trials and tribulations before the show is finally staged. The film is light and has many comic moments, there are an array of colourful characters sometimes borderline caricatures, yet somehow Carlo Mazzacurati has managed to keep them believable. The mood changes suddenly 15 minutes before the end, it turnes sombre and in parts quite moving however still with a light touch of comedy, starting with the original actor playing Christ being injured by a cross to heavy to bear. Ramiro’s (Giuseppe Battiston) last supper together with his long and painful crawl to the crucifixion with the cross on his shoulders were both very moving scenes, brilliant acting from Battiston throughout the film. A film not to be miss, I am sure it will do well on the international scene and expect it to be included in the Italian Film Festivals around the world. 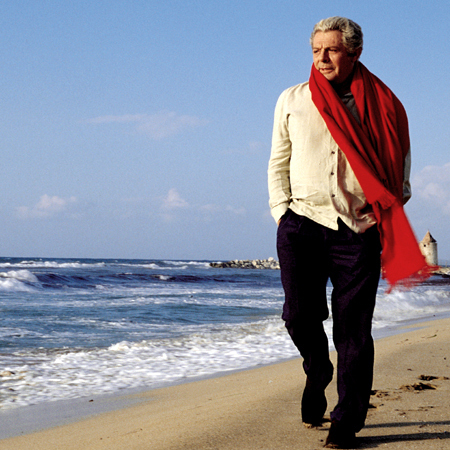 Carlo Mazzacurati has previously Directed L’ amore ritrovato, An Italian Romance (2004) and La Giusta Distanza, The right distance (2007) both shown at International Film Festivals to great acclaim.